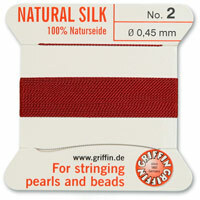 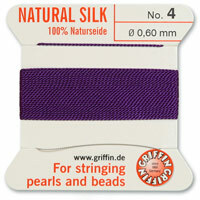 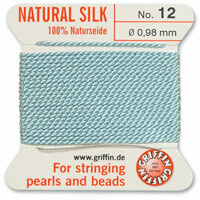 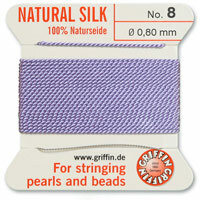 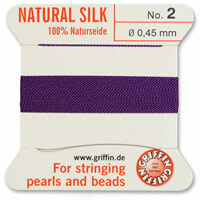 The special stringing needle that is attached to the GRIFFIN Carded Bead Cord means you do not have to struggle with the task of threading a needle or double thread when stringing on beads. There is no simpler, faster or more convincing way to thread pearls, stones or glass beads. Use this chart as reference to convert common cord size #s to mm measurements. For best results, choose the largest diameter thread that can fit in your smallest bead hole. Click here to visit our guide on choosing bead cord.